The good ship Malarkey (a.k.a. 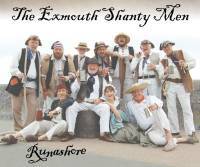 The Exmouth Shanty Men) was launched ten years ago as part of the 2007 Exmouth Festival. In celebration and to mark the occasion, we are pleased to announce the release of our new CD "Ten Years before the Mast". The album contains twenty of our favourite shanties - many never recorded by us before - and garnered during our numerous exciting voyages this past decade. We have heard it said that this commemorative CD is our best ever - and we are sure you will agree! In the two years that have elapsed since they produced their last album, the buoys have sailed many a mile and have found new songs aplenty from near and far, some of which they have deemed suitable to record for posterity as "Back On Board". The album was recorded at The Old Wheelwright's on the southern slopes of Dartmoor over the course of a few days in April 2015. 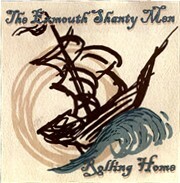 Back from voyages in England and abroad, The Exmouth Shanty Men enjoyed a run ashore in the safe waters of their home port where, at The Grove public house, they entertained family and friends over the course of two cold and snowy evenings in January 2013 whilst committing a new collection of shanties and sea songs to this, their fourth album. 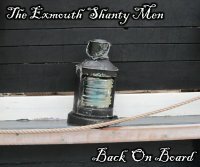 Recorded live before a sell out crowd at their home-town's Blackmore Theatre during the Exmouth Festival, this album conveys the energy, comedy, integrity and downright audacity of The Exmouth Shanty Men on stage. Strong traditional songs, plus a bonus track specially written for Skinners Ales, create another fine and varied collection of sea songs and shanties, sung as they would have been in the days of sail. 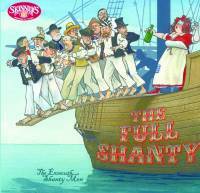 Supported by the world famous Pusser's Rum, and much to the relief of the crew's families and friends, The Exmouth Shanty Men recorded this album in a sound proof studio miles from anywhere! Beautifully crafted shanties and sea songs are moored alongside some powerful ballads and traditional forebitters, creating a fine collection, all with interesting and original arrangements. 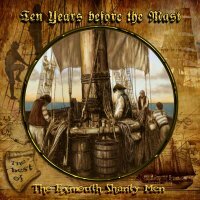 This cracking collection, performed and recorded live, gives a real taste of The Exmouth Shanty Men on stage. Unleashed before an excited, amazed and partially sober audience at the Manor Hotel in their home port of Exmouth, the crew display their energy, humour and rumbustious characters for all to hear. These tracks are sung with passion, gusto and not a little tenderness when required.